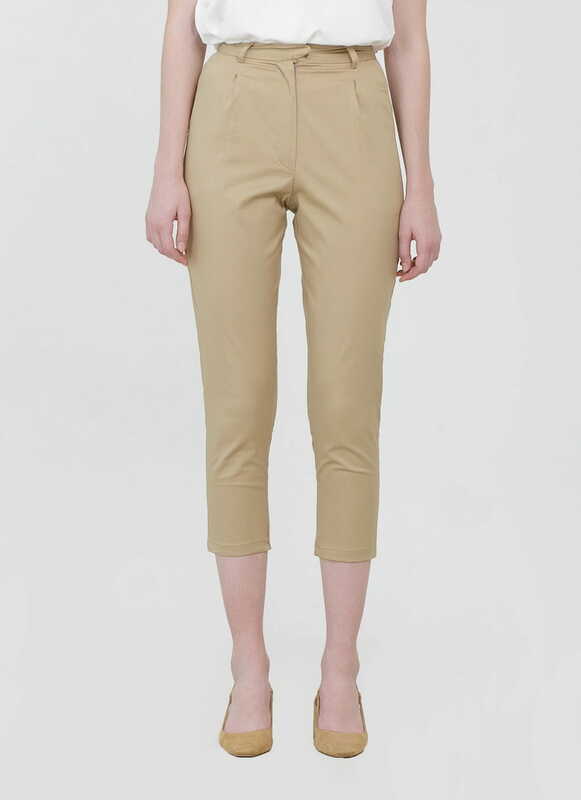 This cropped pants is made from cotton twill. Its slim cut will help enhance your figure, this pants feature featuring side pockets and front zipper. With front zip closure and elastic waist on the back plus pocket on both sides, simply pair this Yara Cropped Slim Pants from Cloth Inc with any of your favorite top and you're ready to go. Cropped, fitted pants with side pockets and front zipper.